MONTEBELLO >> Police asked the public’s help Friday in finding a woman with psychiatric problems who’s been missing since last weekend. Melissa Lyne Rodarte, 25, left her home in Montebello about 8 a.m. Nov. 14 to go for a jog, Montebello police officials said in a written statement. She sent her father a text message in the afternoon, from an unknown phone, stating that she was at a friend’s house in Bell Gardens, police said. She texted her father later that night, and again Sunday morning, telling him her friend’s car was still not working. She hasn’t been heard from since. Rodarte was last seen wearing gray shorts and dark-colored top. She is Latina, 5 feet 7 inches tall, 160 pounds, with brown hair and hazel eyes. Anyone with information was asked to contact Montebello police at 323-887-1313. 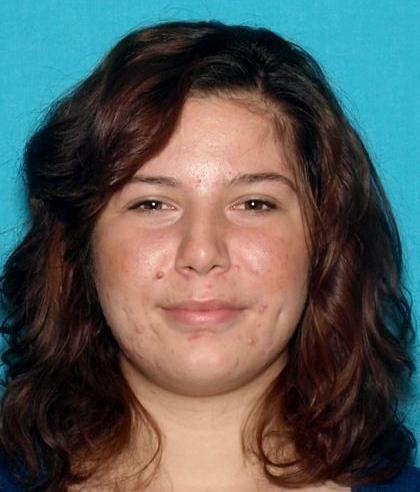 PHOTO of Melissa Lyne Rodarte courtesy of the Montebello Police Department. United Tow owner Shahram Shayesteh will be sentence tomorrow (04-16-09) at the Los Angeles County Criminal Court Building on 210 W. Temple Street, Los Angeles, RM 15-309, departments 132 (Judge Stephen Marcus (213) 974-5717) and faces three years in prison (case number BA329364-01). Shayesteh was convicted of terrorist threats against Bell Gardens City Council member Daniel Crespo. The threats stem from a private telephone call placed by former Councilmember Mario Beltran to Mr. Crespo (with Mr. Shayesteh on the telephone line without Crespo’s knowledge) regarding length of tow services. Shayesteh threatened Mr. Crespo of great bodily injury. In November 2006, the Bell Gardens Council awarded an exclusive contract to United Tow Company owner Shayesteh. Further investigation revealed Shayesteh had a business relationship with then Councilmember Mr. Beltran who failed to reveal the relationship when he voted to award the five-million-dollar exclusive contract to Shayesteh, a three time felon who at the time had a Federal Court case in the United States District Court for transportation of 600 pounds of heroin from Iran to the United States (case number 05-0892M). Investigation revealed that Council member Mario Beltran, Priscilla Flores and Jennifer Rodriguez met with Shayesteh prior to the Council meeting and agreed to award him the five-million-dollar contract. This sparked an FBI, District Attorney and LAPD investigation against Mr. Beltran and others which resulted in a grand jury indictment against Mr. Beltran and conviction resulting in his resignation, in lieu of him being sent to prison (case number BA331866-01). FBI investigation is still pending against other Council members and staff. Mr. Beltran was convicted in 2006 for filing a false police report and was placed on Probation (case number6DY07777-01).